In order to fully immerse trainees and provide unforgettable muscle memory, a comprehensive virtual training system should include realistic simulated weapons or recoil kits for real firearms. Laser Shot’s line of proprietary recoil simulation systems excel in this arena due to the extensive research and development behind every model: going so far as to hone trigger pull and reset, trigger weight, and felt recoil to match real-world weapon systems. For many recoil models, Laser Shot has preferred barrel reservoirs instead of magazine reservoirs. Since magazine changes are required more frequently during normal training, the seals are commonly worn out and cause increased air leaks. Laser Shot solved this by leaving the magazines inert and constructed air reservoirs inside the barrels. No additional accessories to the weapon are required that would not normally be standard issue. The barrel reservoirs can be filled with a CO2 adapter on a CO2 tank with siphon tube. 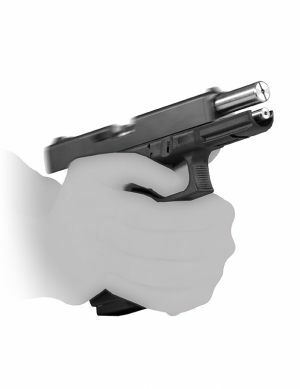 This design allows for a higher fidelity simulated weapon. Synthetic audio is not necessary because the mechanical action replicates the cracking of the weapon being fired. All of these features assist in working towards mitigating flinching or anticipation of recoil. 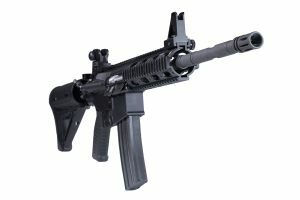 As a part of various high-profile comprehensive simulator systems in use by military and law enforcement units around the globe, Laser Shot has integrated recoil simulation technology into many weapon models, including large crew-served weapon systems and custom ordered specialty weapons such as grenade launchers or precision rifles. Infrared lasers are secured inside the barrel, PEQ 15 assembly, or guide rod (depending on weapon model) for easier maintenance. 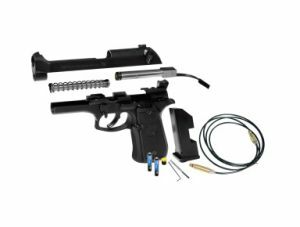 Recoil Conversion Kits transform live fire firearms into laser-based firearms that use CO2 to create simulated recoil action. These kits do not include the gun itself. Recoil kits and weapons are only compatible with IR systems. 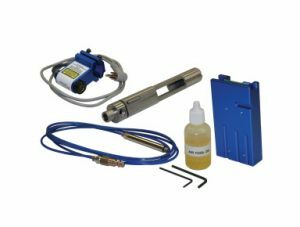 Tetherless recoil kits feature a high-grade stainless steel barrel, CO2 magazine and laser. 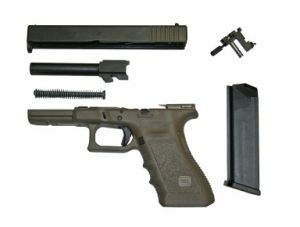 It easily converts your firearm into a safe and effective training tool. By using compressed gas, the system simulates recoil by acting on the gun’s slide or bolt to cycle the weapon. The system cycles the weapon exactly as it would during live shooting, simulating recoil and providing audible report while marking the point of impact with the integrated laser for immediate training feedback.